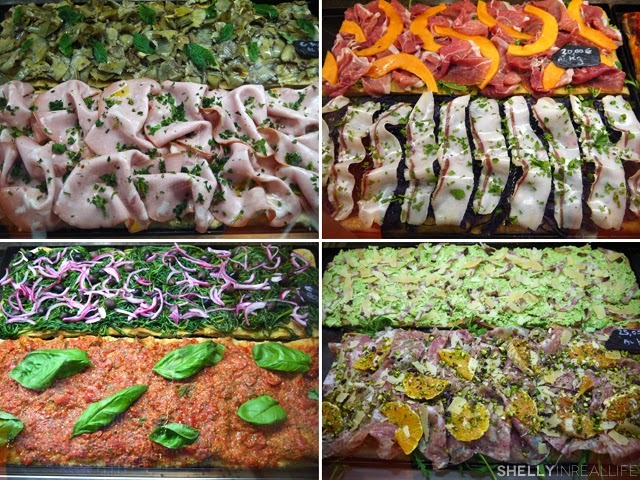 This is the second post in my Best Bites of Italy series, a round-up of the best eats during my 2 week trip through Rome, Venice, Florence and Cinque Terre. Other good eats include Renato e Luisa in Rome. What would a series on the Best Bites of Italy be without pizza and gelato? J read about Elizabeth Minchilli's Roman food tours in the New York Times and really wanted to discover the food in Rome with a local. He arranged the tour for our first day in Rome so that we could revisit some good eats if we wanted to. Elizabeth was busy on the day that we wanted to tour, but she arranged for us to be with her daughter Sophie instead. The tour with Sophie was great because we got to see the neighborhood that we were staying in through the eyes of someone who grew up there. During our two-three hour tour, she brought us to 5 different places to eat the street food of Rome. 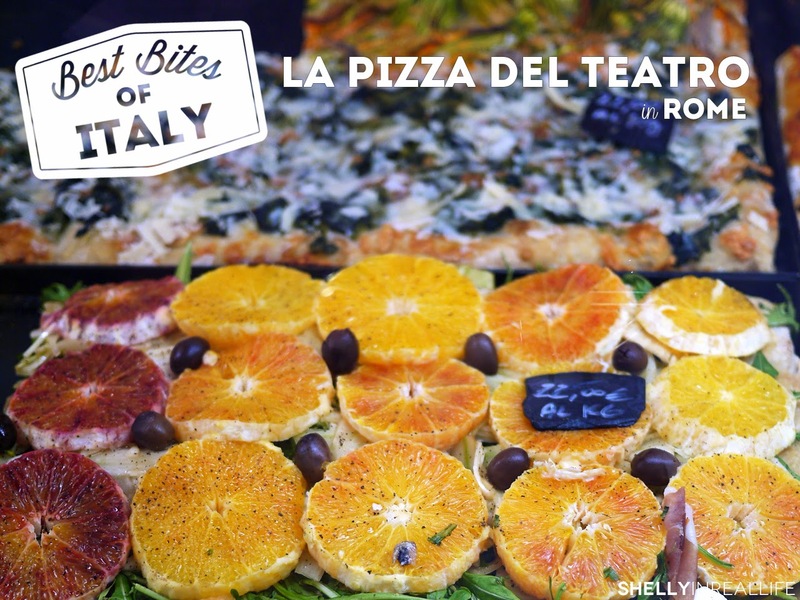 The most memorable place she brought us to was La Pizza del Teatro located in Centro Storico (Old Town). La Pizza del Teatro opened just a year ago by celebrity chef Gabriele Bonci, the same chef of Pizzarium - one of Rome's most famous pizzerias near the Vatican. 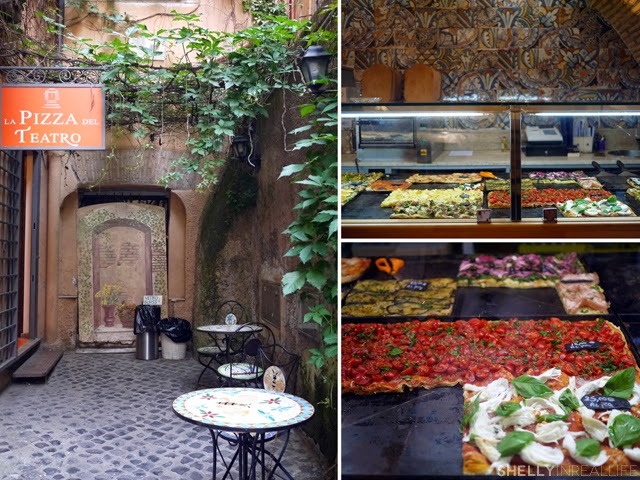 It's tucked away in a small alleyway right behind the famous Gelateria del Teatro which I'll write about in another "Best Bites", so it is definitely a great idea to grab a quick bite at this pizzeria then go for a gelato right after. In our research for food recs, we couldn't go through any Rome recommendations from friends and blogs without hearing about Pizzarium. We heard the wait at Pizzarium could be a bit long given its popularity. La Pizza del Teatro is a great alternative since it offers pizza with similar quality and made with the same dough but with virtually no wait time. We loved the pizza here at Teatro so much that we ended up going to eat there three times during our trip. Yes, you read that right - three times - once when Sophie first took us there, and then 2 more times in the next 3 days we were there since it was so close to our apartment. That's some serious pizza-loving. Out of the 3 other places we had pizza in Rome, we found that the pizza at La Pizza del Teatro to have the lightest crust with the most unique toppings. Our favorite of the pizzas are the ones topped with orange, arugula, olives and prosciutto. The juiciness of the orange added so much brightness in every bite, it is seriously addicting. You'll find that the pizza in Rome is a bit different than pizza here. First, pizzas are often served by weight. You can go up to the counter and choose which piece of pizza you'd like, and how big of a piece - so you can ask for a larger piece or a smaller one, it's seriously up to you! The pizza at Teatro features beautiful toppings added on top of light flat bread that's pre-cooked. The outcome is just delightful as the crust itself is very crunchy while the toppings are light and fresh, and more often than not, cooked separately from the pizza itself. The type of toppings on the pizza changes a little bit every day, however you'll find similar themes. 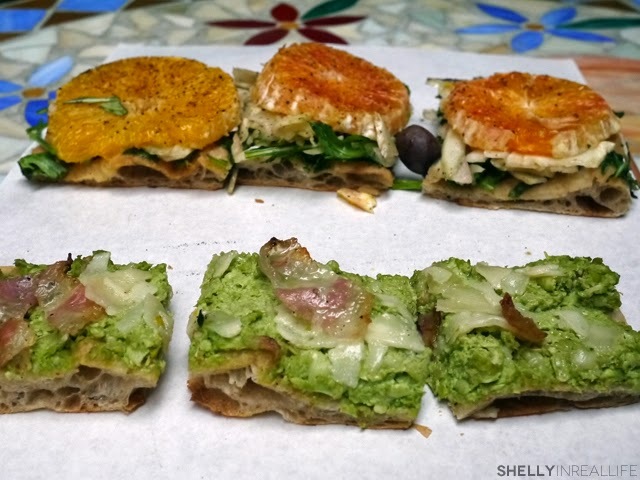 Of course there's the classic tomato and cheese, but the ones we gravitated towards are the colorful greens of fava bean, fresh melon and artichokes. Honestly, you can't go wrong with any of them.